This weekly study is focused on Biblical and Theological study so that God’s people might grow in their knowledge of God and in their reason for joyfully celebrating His Name. What do you believe about Worship? The Triune God of the Bible alone is worthy of our adoration and worship. 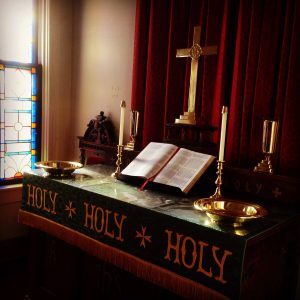 We gather every Lord’s Day (Sunday), morning and evening, with the intent and desire to glorify God as He has commanded us to do. When we gather for corporate worship, God is present, blessing His people in a unique way. 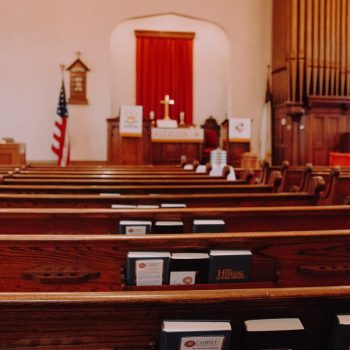 As a Christian congregation, we proudly stand upon the shoulders of those who have come before us, building upon the heritage of our Christian forefathers. 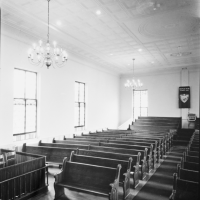 Our worship purposefully endeavors to build upon our historic Reformed tradition. Click here to see an example of our bulletin/order of worship. As a Reformation Church, we recognize the need to establish our worship in accordance with the Scriptures, namely for us to “offer to God acceptable worship, with reverence and awe” (Hebrews 12:28 ESV) and that “all things should be done decently and in order” (1 Corinthians 14:40 ESV). 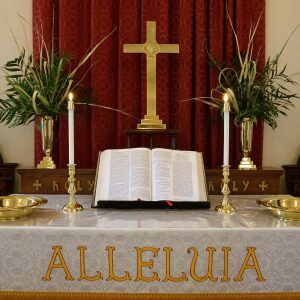 Our liturgy, or form of worship, includes biblical elements such as: a call to worship; an invocation; Confession of sins; Assurance of pardon; Professions of our Historical Faith (The Apostles and Nicene Creed, and the Heidelberg Catechism); Offerings; Singing of hymns and psalms; Public reading and Preaching of Holy Scripture; Sacraments and His Benediction. All of these elements flow together to constitute the worship of God, each element functioning as a part of the whole worship of God. What does the Pastor preach about? We hope you’ll wear whatever makes you comfortable and is in keeping with the dignity and special character of the occasion. You’ll find some people dressed quite casually (jeans, polos, t-shirts) and others will be dressed more formally (suits, slacks, dresses, skirts). Most importantly, though, come prepared for sacred worship of the holy and gracious triune God of salvation. Many churches today like to separate families based on age or some other status identifier. One church may have Kids Church, Youth Church, Young Adult Church, Senior Citizens Church, Singles Church, etc. We strive to demonstrate the necessity of unity in our worship services, rather than dividing the family, unite them in a single worship service together seeking to grow in our love for God. 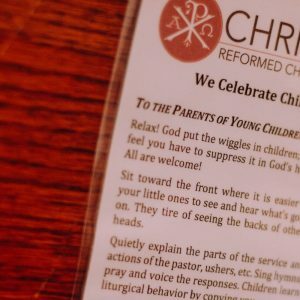 We celebrate children at CRC! We know that the way we welcome children in church directly affects the way they respond to the Church, to God, and to one another. Although we do offer separate Sunday School classes at 9:00 AM for children of all ages, we want the children to know that they are at home in this house of worship. 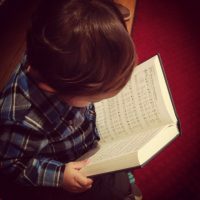 In each pew, we provide a helpful list of some strategies for including children in our worship service. Arrive a few minutes early to help acclimate your children to the church and prepare to enjoy the service together. Our goal is not silent children but young worshippers. Let us come alongside you to teach your children what it means to worship the Lord. The New Testament does not demand any particular vestment, or clothing to be worn by the pastor, elders or deacons. The preaching robe function to help highlight the pastor’s office as a teaching elder and to de-emphasize the individuality of the pastor. This is to help the congregation focus on what it is that the pastor is doing rather than who he is. The robe functions as the pastor’s preaching uniform, worn specifically for the duty which he is officiating. 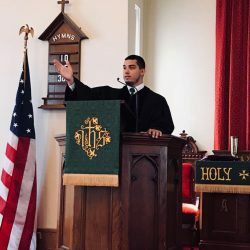 The Reformed tradition has typically adopted a plain black robe to demonstrate, as well, that the pastor has been academically trained for his role as a teaching elder.